Some working dogs can benefit from a fish-based diet, particularly those with sensitivities to meat. 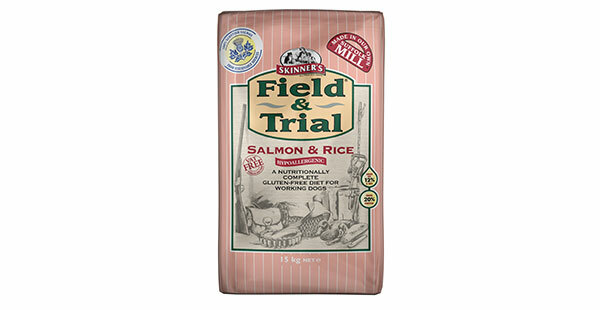 Skinners Field & Trial Salmon & Rice contains salmon meat meal from a sustainable source, whole rice, naked oats and peas. It is formulated to give an excellent balance of Omega 3:6 fatty acids, which can help support your dog's immune system. As a valuable source of energy and to maintain a healthy coat condition, it is also coated in sunflower oil. Field & Trial Salmon & Rice also contains enhanced levels of Glucosamine and Chondroitin to help protect the joints of your dog.